Currently, all blockchain protocols rely on a model where all nodes store all state (account balances, contract code and storage, etc) and process all transactions. This provides a large amount of security, but greatly limits blockchains’ scalability: a blockchain cannot process more transactions than a single node in the network. In large part because of this, Bitcoin is limited to ~3-7 transactions per second, Ethereum to 7-15, etc. However, this poses a question: are there ways to create a new kind of blockchain mechanism, one which departs from the model where literally every computer in the network literally checks every transaction, and instead only requires small subset of nodes to verify each transaction? As long as there are sufficiently many nodes verifying each transaction that the system is still highly secure, but sufficiently few that the system can process many groups of transactions in parallel, could we not use such a technique to greatly increase a blockchain’s throughput? What are some trivial but flawed ways of solving the problem? There are three main categories of “easy solutions”. The first is to simply give up on scaling individual blockchains, and instead assume that users will be using many different “altcoins”. This greatly increases throughput, but comes at a cost of security: an N-factor increase in throughput using this method necessarily comes with an N-factor decrease in security. Hence, it is arguably non-viable for more than small values of N.
The second is to simply increase the block size limit. 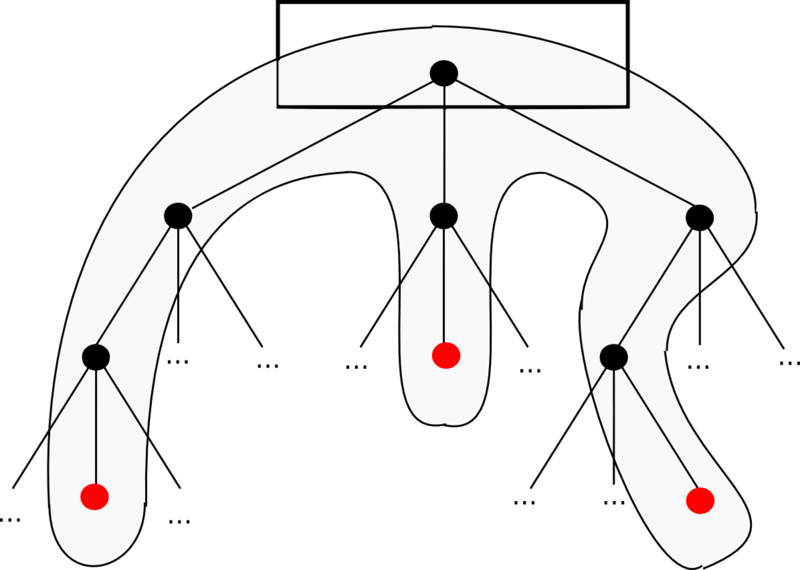 This can work to some extent, and in some situations may well be the correct prescription as block sizes may well be constrained more by politics than by realistic technical considerations, but regardless of one’s beliefs about any individual case such an approach inevitably has its limits: if one goes too far, then nodes running on consumer hardware will drop out, the network will start to rely exclusively on a very small number of supercomputers running the blockchain, and this can lead to great centralization risk. The third is “merge mining”, a technique where there are many chains, but all chains share the same mining power (or in proof of stake systems stake). Currently, Namecoin gets a large portion of its security from the Bitcoin blockchain by doing this. If all miners participate, this theoretically can increase throughput by a factor of N without compromising security. However, this also has the problem that it increases the computational and storage load on each miner by a factor of N, and so in fact this solution is simply a stealthy form of block size increase. If only a few miners participate in merge-mining each chain, then the centralization risk is mitigated, but the security benefits of merge mining are also greatly reduced. In the rest of this document, we’ll continue using c to refer to the size of computational resources (including computation, bandwidth and storage) available to each node, and n to refer to the size of the ecosystem in some abstract sense; we assume that transaction load, state size, and the market cap of a cryptocurrency are all proportional to n.
Some people claim that because of Metcalfe’s law, the market cap of a cryptocurrency should be proportional to n^2, and not n. Do they have a point? Metcalfe’s law claims that the value of a network is proportional to the square of the number of users, because if a network has n users then the network has value for each user, but then the value for each individual user it itself proportional to the number of users because if a network has n users that’s n-1 potential connections through the network that each individual user could benefit from. In practice, empirical research suggests that the value of a network with n users is close to “n^2 proportionality for small values of n and (n × log n) proportionality for large values of n.” This makes sense because for small values, the argument holds true, but once a system gets bigger, two effects slow the growth down. First, growth in practice often happens in communities, and so in a medium-scale network the network often already provides most of the connections that each user cares about. Second, connections are often substitutes from each other, and you could argue that people only derive ~O(log(k)) value from having k connections – having 23 brands of deodorant to choose from is nice, but it’s not that much better than having 22 choices, whereas the difference between one choice and zero choices is very significant. Furthermore, even if the value of a cryptocurrency is proportional to O(k * log(k)) with k users, if we accept the above explanation as the reason why this is the case, then that also implies that transaction volume is also O(k * log(k)), as the log(k) value per user theoretically comes from that user exercising log(k) connections through the network, and state size should also in many cases grow with O(k * log(k)) as there are at least some kinds of state that are relationship-specific rather than user-specific. Hence, assuming n = O(k * log(k)) and basing everything off of n (size of the ecosystem) and c (a single node’s computing power) is a perfectly fine model for us to use. What are some moderately simple but only partial ways of solving the scalability problem? Many sharding proposals (eg. this early BFT sharding proposal from Loi Luu et al at NUS, as well as this Merklix tree1 approach that has been suggested for Bitcoin) attempt to either only shard transaction processing or only shard state, without touching the other2. These efforts are admirable and may lead to some gains in efficiency, but they run into the fundamental problem that they only solve one of the two bottlenecks. We want to be able to process 10,000+ transactions per second without either forcing every node to be a supercomputer or forcing every node to store a terabyte of state data, and this requires a comprehensive solution where the workload of state storage, transaction processing and even transaction downloading and re-broadcasting are all spread out across nodes. Particularly, note that this requires changes at the P2P level, as a broadcast model is not scalable since it requires every node to download and re-broadcast O(n) data (every transaction that is being sent), whereas our decentralization criterion assumes that every node only has access to O(c) resources of all kinds. What about approaches that do not try to “shard” anything? Bitcoin-NG can increase scalability somewhat by means of an alternative blockchain design that makes it much safer for the network if nodes are spending large portions of their CPU time verifying blocks. In simple PoW blockchains, there are high centralization risks and the safety of consensus is weakened if capacity is increased to the point where more than about 5% of nodes’ CPU time is spent verifying blocks; Bitcoin-NG’s design alleviates this problem. However, this can only increase the scalability of transaction capacity by a constant factor of perhaps 5-50x3,4, and does not increase the scalability of state. That said, Bitcoin-NG-style approaches are not mutually exclusive with sharding, and the two can certainly be implemented at the same time. Channel-based strategies (lightning network, Raiden, etc) can scale transaction capacity by a constant factor but cannot scale state storage, and also come with their own unique sets of tradeoffs and limitations particularly involving denial-of-service attacks; on-chain scaling via sharding (plus other techniques) and off-chain scaling via channels are arguably both necessary and complementary. There exist approaches that use advanced cryptography, such as Mimblewimble and strategies based on ZK-SNARKs, to solve one specific part of the scaling problem: initial full node synchronization. Instead of verifying the entire history from genesis, nodes could verify a cryptographic proof that the current state legitimately follows from the history. These approaches do solve a legitimate problem, although it is worth noting that one can rely on cryptoeconomics instead of pure cryptography to solve the same problem in a much simpler way – see Ethereum’s current implementations of fast syncing and warp syncing. Neither solution does anything to alleviate state size growth or the limits of online transaction processing. State size, history, cryptoeconomics, oh my! Define some of these terms before we move further! State: a set of information that represents the “current state” of a system; determining whether or not a transaction is valid, as well as the effect of a transaction, should in the simplest model depend only on state. Examples of state data include the UTXO set in bitcoin, balances + nonces + code + storage in ethereum, and domain name registry entries in Namecoin. History: an ordered list of all transactions that have taken place since genesis. In a simple model, the present state should be a deterministic function of the genesis state and the history. Transaction: an object that goes into the history. In practice, a transaction represents an operation that some user wants to make, and is cryptographically signed. State transition function: a function that takes a state, applies a transaction and outputs a new state. The computation involved may involve adding and subtracting balances from accounts specified by the transaction, verifying digital signatures and running contract code. Merkle tree: a cryptographic hash tree structure that can store a very large amount of data, where authenticating each individual piece of data only takes O(log(n)) space and time. See here for details. 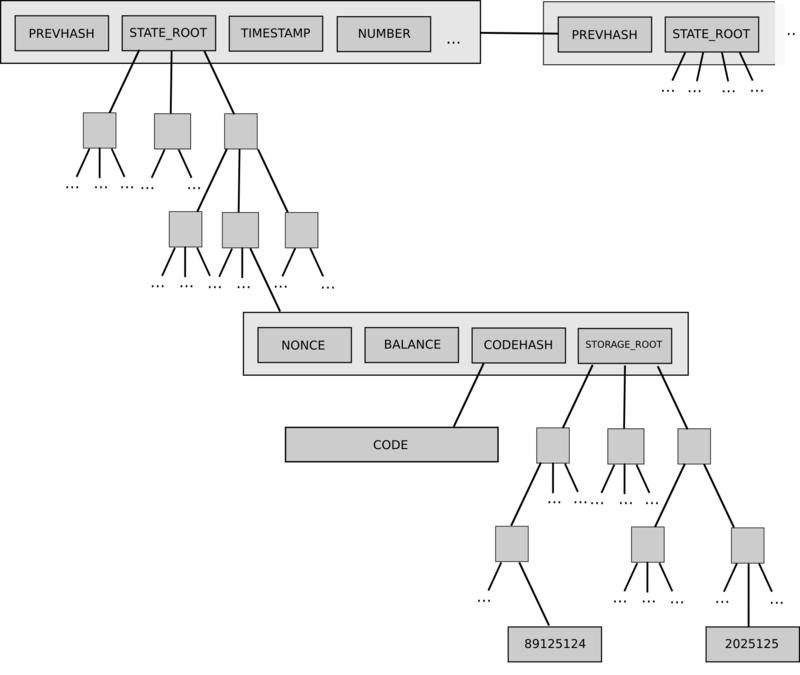 In Ethereum, the transaction set of each block, as well as the state, is kept in a Merkle tree, where the roots of the trees are committed to in a block. Receipt: an object that represents an effect of a transaction that is not stored in the state, but which is still stored in a Merkle tree and committed to in a block so that its existence can later be efficiently proven even to a node that does not have all of the data. Logs in Ethereum are receipts; in sharded models, receipts are used to facilitate asynchronous cross-shard communication. Light client: a way of interacting with a blockchain that only requires a very small amount (we’ll say O(1), though O(log(c)) may also be accurate in some cases) of computational resources, keeping track of only the block headers of the chain by default and acquiring any needed information about transactions, state or receipts by asking for and verifying Merkle proofs of the relevant data on an as-needed basis. We split the state up into K = O(n / c) partitions that we call “shards”. For example, a sharding scheme on Ethereum might put all addresses starting with 0x00 into one shard, all addresses starting with 0x01 into another shard, etc. In simpler forms of sharding, each shard also has its own transaction history, and the effect of transactions in some shard k are limited to the state of shard k. However, the effect of a transaction may depend on events that earlier took place in other shards; a canonical example is transfer of money, where money can be moved from shard i to shard j by first creating a “debit” transaction that destroys coins in shard i, and then creating a “credit” transaction that creates coins in shard j, pointing to a receipt created by the debit transaction as proof that the credit is legitimate. In more complex forms of sharding, transactions may in some cases have effects that spread out across several shards and may also synchronously ask for data from the state of multiple shards. One can view shards in the simpler schemes as being loosely connected, semi-independent blockchains that are all part of a common network. In a simple version of the scheme, each user maintains a light client on all shards, and validators fully download and track a few shards that they are assigned to at some particular time; this approach can support values of n up to O(c^2), where the number of shards is K = O(c). More complex versions use shards-of-shards schemes to increase the maximum n that can be supported up to O(exp(c)). A major challenge with sharding is determining the mechanism by which the histories of each shard are agreed upon and the state of each shard is determined – the question is, can we break the trilemma and do this in a way where each shard has an “economic strength” of O(n), despite only having O(n / c) worth of economic power actively verifying that shard at any one time? As this document argues, there are many challenges and tradeoffs involved, but most likely yes we can6. How can different kinds of applications fit into a sharded blockchain? The easiest scenario to satisfy is one where there are very many applications that individually do not have too many users only very occasionally and loosely interact with each other; in this case, applications can simply live on separate shards and use cross-shard communication via receipts to talk to each other. Note that in all models proposed here, users and application developers can freely choose which shard to publish a contract or send a transaction on. If applications do need to talk to each other, the challenge is much easier if the interaction can be made asynchronous – that is, if the interaction can be done in the form of the application on shard A generating a receipt, a transaction on shard B “consuming” the receipt and performing some action based on it, and possibly sending a “callback” to shard A containing some response. Generalizing this pattern is easy, and is not difficult to incorporate into a high-level programming language. However, note that the in-protocol mechanisms that would be used for asynchronous cross-shard communication would be different and have weaker functionality compared to the mechanisms that are available for intra-shard communication. Some of the functionality that is currently available in non-scalable blockchains would, in a scalable blockchain, only be available for intra-shard communication.7. Doing what one wants to do on a blockchain using only asynchronous tools is not always easy. To see why, consider the following example courtesy of Andrew Miller. Suppose that a user wants to purchase a plane ticket and reserve a hotel, and wants to make sure that the operation is atomic – either both reservations succeed or neither do. If the plane ticket and hotel booking applications are on the same shard, this is easy: create a transaction that attempts to make both reservations, and throws an exception and reverts everything unless both reservations succeed. If the two are on different shards, however, this is not so easy; even without cryptoeconomic / decentralization concerns, this is essentially the problem of atomic database transactions. With asynchronous messages only, the simplest solution is to first reserve the plane, then reserve the hotel, then once both reservations succeed confirm both; the reservation mechanism would prevent anyone else from reserving (or at least would ensure that enough spots are open to allow all reservations to be confirmed) for some period of time. With cross-shard synchronous transactions, the problem is easier, but the challenge of creating a sharding solution capable of making cross-shard atomic synchronous transactions is itself decidedly nontrivial. If an individual application has more than O(c) usage, then that application would need to exist across multiple chains. The feasibility of doing this depends on the specifics of the application itself; some applications (eg. currencies) are easily parallelizable, whereas others (eg. certain kinds of market designs) cannot be parallelized and must be processed serially. There are properties of sharded blockchains that we know for a fact are impossible to achieve. Amdahl’s law states that in any scenario where applications have any non-parallelizable component, once parallelization is easily available the non-parallelizable component quickly becomes the bottleneck. In a general computation platform like Ethereum, it is easy to come up with examples of non-parallelizable computation: a contract that keeps track of an internal value x and sets x = sha3(x, tx_data) upon receiving a transaction is a simple example. No sharding scheme can give individual applications of this form more than O(c) performance. Hence, it is likely that over time sharded blockchain protocols will get better and better at being able to handle a more and more diverse set of application types and application interactions, but a sharded architecture will always necessarily fall behind a single-shard architecture in at least some ways at scales exceeding O(c). What are the security models that we are operating under? What is the difference between traditional byzantine fault tolerance models and more cryptoeconomic approaches such as the Zamfir model? There are several competing models under which the safety of blockchain designs is evaluated. The first is an honest majority (or honest supermajority) assumption, where we assume that there is some set of validators and up to ½ (or ⅓ or ¼) of those validators are controlled by an attacker; the remaining validators honestly follow the protocol. A stronger model is the uncoordinated majority assumption, where we assume that all validators are rational in a game-theoretic sense (except the attacker, who is motivated to make the network fail in some way), but no more than some fraction (often between ¼ and ½) are capable of coordinating their actions. Bitcoin proof of work with Eyal and Sirer’s selfish mining fix is robust up to ½ under the honest majority assumption, and up to ¼ under the uncoordinated majority assumption. In any majority model, an important question is: when does “the attacker” get to choose which nodes they corrupt? Many protocols randomly select and assign the subset of validators that is responsible for some consensus task ahead of time; if the attacker can choose nodes after this assignment process takes place (eg. by hacking nodes, or via the operators of the nodes connecting with each other and colluding), ie. the attacker is an adaptive adversary, then they may be able to wreak havoc with the protocol only corrupting a few nodes, but if the attacker must choose before (ie. the attacker is a non-adaptive oroblivious adversary) then the attacker must still corrupt a large fraction of all nodes in order to stand a chance of corrupting any subset. Majorities may be dishonest and may collude. Collusion can happen either through cryptoeconomic bribery via reputation or smart contracts, socially organized cartels, or in more extreme versions of the model through 51% of the coins actually being controlled by one actor who physically has the private keys. The attacker has some “budget” that they are theoretically willing to spend (either by losing the money through in-protocol costs or penalties or by bribing others). This budget is proportional to O(n), though as we will see below there are some limited attacks that may succeed with only an O(c) budget and which cannot be defended against. The Zamfir model sometimes includes an honest/uncoordinated minority assumption, where for example at least ⅛ of any “economic set” (eg. miners, validators) is assumed to be honest (or at least uncoordinated) at any given time. The presence of altruists capable of making bribes or voluntarily accepting losses is also sometimes assumed, although it is always assumed that the capital available for altruists to burn is much lower than the attacker’s budget. The goal is to try to ensure that any behavior even by a majority coalition that infringes on the protocol’s guarantees or reduces performance is costly, and to maximize this cost. Note that some kinds of attacks (eg. P + epsilon attacks have a high budget requirement but low cost – the attacker must credibly commit to spending a lot of money if necessary, but if they succeed attacks are very cheap. The honest majority model is arguably highly unrealistic and has already been empirically disproven – see Bitcoin’s SPV mining fork for a practical example. It proves too much: for example, an honest majority model would imply that honest miners are willing to voluntarily burn their own money if doing so punishes attackers in some way. The uncoordinated majority assumption may be realistic; there is also an intermediate model where the majority of nodes is honest but has a budget, so they shut down if they start to lose too much money. The Zamfir model has in some cases been criticized as being unrealistically adversarial, although its proponents argue that if a protocol is designed with the Zamfir model in mind then it should be able to massively reduce the cost of consensus, as 51% attacks become an event that could be recovered from. We will evaluate sharding in the context of both uncoordinated majority and Zamfir models. How can we break the trilemma in an honest or uncoordinated majority model? In short, random sampling. Each shard is assigned a certain number of validators (eg. 150), and the validator that makes a block on each shard is taken from the sample for that shard. Samples can be reshuffled either semi-frequently (eg. once every 12 hours) or maximally frequently (ie. there is no real independent sampling process, validators are randomly selected for each shard from a global pool every block). The result is that even though only a few nodes are verifying and creating blocks on each shard at any given time, the level of security is in fact not much lower, in an honest/uncoordinated majority model, than what it would be if every single node was verifying and creating blocks. The reason is simple statistics: if you assume a ⅔ honest supermajority on the global set, and if the size of the sample is 150, then with 99.999% probability the honest majority condition will be satisfied on the sample. If you assume a ¾ honest supermajority on the global set, then that probability increases to 99.999999998% (see here for calculation details). Security (attackers need to control at least ⅓ of the entire O(n)-sized validator pool in order to stand a chance of taking over the network). In the Zamfir model (or alternatively, in the “very very adaptive adversary” model), things are not so easy, but we will get to this later. Note that because of the imperfections of sampling, the security threshold does decrease from ½ to ⅓, but this is still a surprisingly low loss of security for what may be a 100-1000x gain in scalability with no loss of decentralization. How do you actually do this sampling in proof of work, and in proof of stake? In proof of stake, it is easy. There already is an “active validator set” that is kept track of in the state, and one can simply sample from this set directly. Either an in-protocol algorithm runs and chooses 150 validators for each shard, or each validator independently runs an algorithm that uses a common source of randomness to (provably) determine which shard they are at any given time. Note that it is very important that the sampling assignment is “compulsory”; validators do not have a choice of what shard they go into. If validators could choose, then attackers with small total stake could concentrate their stake onto one shard and attack it, thereby eliminating the system’s security. In proof of work, it is more difficult, as with “direct” proof of work schemes one cannot prevent miners from applying their work to a given shard. It may be possible to use proof-of-file-access forms of proof of work to lock individual miners to individual shards, but it is hard to ensure that miners cannot quickly download or generate data that can be used for other shards and thus circumvent such a mechanism. The best known approach is through a technique invented by Dominic Williams called “puzzle towers”, where miners first perform proof of work on a common chain, which then inducts them into a proof of stake-style validator pool, and the validator pool is then sampled just as in the proof-of-stake case. One possible intermediate route might look as follows. Miners can spend a large (O(c)-sized) amount of work to create a new “cryptographic identity”. The precise value of the proof of work solution then chooses which shard they have to make their next block on. They can then spend an O(1)-sized amount of work to create a block on that shard, and the value of that proof of work solution determines which shard they can work on next, and so on8. Note that all of these approaches make proof of work “stateful” in some way; the necessity of this is fundamental. What are the tradeoffs in making sampling more or less frequent? Selection frequency affects just how adaptive adversaries can be for the protocol to still be secure against them; for example, if you believe that an adaptive attack (eg. dishonest validators who discover that they are part of the same sample banding together and colluding) can happen in 6 hours but not less, then you would be okay with a sampling time of 4 hours but not 12 hours. This is an argument in favor of making sampling happen as quickly as possible. The main challenge with sampling taking place every block is that reshuffling carries a very high amount of overhead. Specifically, verifying a block on a shard requires knowing the state of that shard, and so every time validators are reshuffled, validators need to download the entire state for the new shard(s) that they are in. This requires both a strong state size control policy (ie. economically ensuring that the size of the state does not grow too large, whether by deleting old accounts, restricting the rate of creating new accounts or a combination of the two) and a fairly long reshuffling time to work well. Currently, the Parity client can download and verify a full Ethereum state snapshot via “warp-sync” in ~10 minutes; if we reduce by 5x to compensate for temporary issues related to past DoS attacks and increase by 20x to compensate for increased usage (10 tx/sec instead of the current 0.5 tx/sec) (we’ll assume future state size control policies and “dust” accumulated from longer-term usage roughly cancel out) , we get ~40 minute state sync time, suggesting that sync periods of 12-24 hours but not less are safe. There are two possible paths to overcoming this challenge. Can we force more of the state to be held user-side so that transactions can be validated without requiring validators to hold all state data? The techniques here tend to involve requiring users to store state data and provide Merkle proofs along with every transaction that they send. A transaction would be sent along with a Merkle proof-of-correct-execution, and this proof would allow a node that only has the state root to calculate the new state root. This proof-of-correct-execution would consist of the subset of objects in the trie that would need to be traversed to access and verify the state information that the transaction must verify; because Merkle proofs are O(log(n)) sized, the proof for a transaction that accesses a constant number of objects would also be O(log(n)) sized. Implementing this scheme in its pure form has two flaws. First, it introduces O(log(n)) overhead, although one could argue that this O(log(n)) overhead is not as bad as it seems because it ensures that the validator can always simply keep state data in memory and thus it never needs to deal with the overhead of accessing the hard drive9. Second, it can easily be applied if the state objects that are accessed by a transaction are static, but is more difficult to apply if the objects in question are dynamic – that is, if the transaction execution has code of the form read(f(read(x))) where the address of some state read depends on the execution result of some other state read. In this case, the address that the transaction sender thinks the transaction will be reading at the time that they send the transaction may well differ from the address that is actually read when the transaction is included in a block, and so the Merkle proof may be insufficient10. 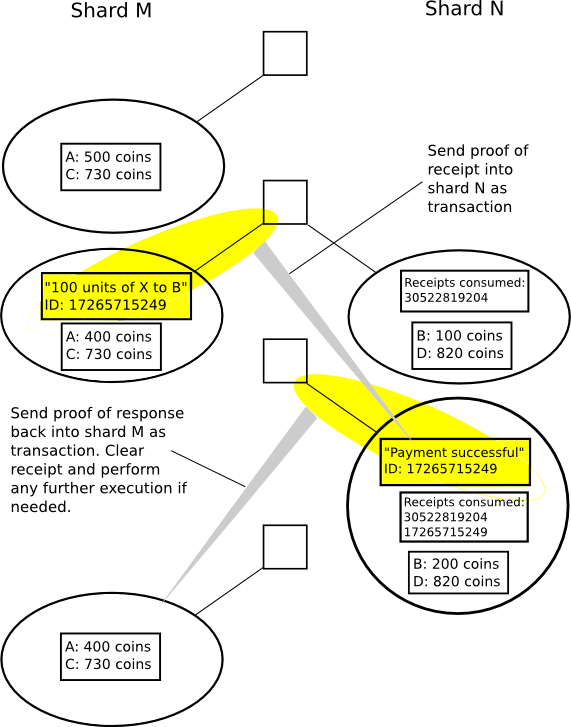 A compromise approach is to allow transaction senders to send a proof that incorporates the most likely possibilities for what data would be accessed; if the proof is sufficient, then the transaction will be accepted, and if the state unexpectedly changes and the proof is insufficient then either the sender must resend or some helper node in the network resends the transaction adding the correct proof. Developers would then be free to make transactions that have dynamic behavior, but the more dynamic the behavior gets the less likely transactions would be to actually get included into blocks. Note that validators’ transaction inclusion strategies under this approach would need to be complicated, as they may spend millions of gas processing a transaction only to realize that the last step accesses some state entry that they do not have. One possible compromise is for validators to have a strategy that accepts only (i) transactions with very low gas costs, eg. <100k, and (ii) transactions that statically specify a set of contracts that they are allowed to access, and contain proofs for the entire state of those contracts. Note that this only applies when transactions are initially broadcasted; once a transaction is included into a block, the order of execution is fixed, and so only the minimal Merkle proof corresponding to the state that actually needs to be accessed can be provided. If validators are not reshuffled immediately, there is one further opportunity to increase efficiency. We can expect validators to store data from proofs of transactions that have already been processed, so that that data does not need to be sent again; if k transactions are sent within one reshuffling period, then this decreases the average size of a Merkle proof from log(n) to log(n) – log(k). I hear talk about separating data availability verification and state calculation, and how this might solve this problem. How does this work? Current blockchains heavily conflate all three. Particularly, note that even in systems that do not have a notion of Merkle state trees, state calculation and data availability are heavily intertwined, as those systems have a notion of a “valid transaction” where validity is state-dependent – for example, a transaction might only be valid if, in the current state, the sender account has the funds to pay for it. This conflation is in some ways convenient, but it also greatly reduces the scope of blockchain designs that are possible. One could imagine a design that separates out these three components, or at least separates out state calculation from the other two parts. This could be accomplished by having a system where shards do NOT include state roots by default, and where there are no rules on transaction “validity” beyond basic formatting checks; a transaction that would be previously considered “invalid” would now in many cases simply be considered ineffective. Shard shuffling could happen every block without concerns about state fetching, as validators would not need to make any state calculations in order to include blocks. A separate process would then calculate state for all shards; this process could be made much more robust, as it can assume that the data that it operates on is all available (more on why this is very important in later sections). How is the randomness for random sampling generated? First of all, it is important to note that even if random number generation is heavily exploitable, this is not a fatal flaw for the protocol; rather, it simply means that there is a medium to high centralization incentive. The reason is that because the randomness is picking fairly large samples, it is difficult to bias the randomness by more than a certain amount. Hence, for N >= 150, the chance that any given random seed will lead to a sample favoring the attacker is very small indeed11,12. What this means from the perspective of security of randomness is that the attacker needs to have a very large amount of freedom in choosing the random values order to break the sampling process outright. Most vulnerabilities in proof-of-stake randomness do not allow the attacker to simply choose a seed; at worst, they give the attacker many chances to select the most favorable seed out of many pseudorandomly generated options. If one is very worried about this, one can simply set N to a greater value, and add a moderately hard key-derivation function to the process of computing the randomness, so that it takes more than 2100 computational steps to find a way to bias the randomness sufficiently. Now, let’s look at the risk of attacks being made that try to influence the randomness more marginally, for purposes of profit rather than outright takeover. For example, suppose that there is an algorithm which pseudorandomly selects 1000 validators out of some very large set (each validator getting a reward of $1), an attacker has 10% of the stake so the attacker’s average “honest” revenue 100, and at a cost of $1 the attacker can manipulate the randomness to “re-roll the dice” (and the attacker can do this an unlimited number of times). Due to the central limit theorem, the standard deviation of the number of samples, and based on other known results in math the expected maximum of N random samples is slightly under M + S * sqrt(2 * log(N)) where M is the mean and S is the standard deviation. Hence the reward for manipulating the randomness and effectively re-rolling the dice (ie. increasing N) drops off sharply, eg. with 0 re-trials your expected reward is $100, with one re-trial it’s $105.5, with two it’s $108.5, with three it’s $110.3, with four it’s $111.6, with five it’s $112.6 and with six it’s $113.5. Hence, after five retrials it stops being worth it. As a result, an economically motivated attacker with ten percent of stake will (socially wastefully) spend $5 to get an additional revenue of $13, for a net surplus of $8. However, this kind of logic assumes that one single round of re-rolling the dice is expensive. Many older proof of stake algorithms have a “stake grinding” vulnerability where re-rolling the dice simply means making a computation locally on one’s computer; algorithms with this vulnerability are certainly unacceptable in a sharding context. Newer algorithms (see the “validator selection” section in the proof of stake FAQ) have the property that re-rolling the dice can only be done by voluntarily giving up one’s spot in the block creation process, which entails giving up rewards and fees. The best way to mitigate the impact of marginal economically motivated attacks on sample selection is to find ways to increase this cost. One method to increase the cost by a factor of sqrt(N) from N rounds of voting is the majority-bit method devised by Iddo Bentov; the Mauve Paper’s sharding algorithm expects to use this approach. It relies on more complex cryptography (specifically, elliptic curves and pairings). Other approaches rely on nothing but the random-oracle assumption for common hash algorithms. It fails when many validators are offline. A desired goal for public blockchains is to be able to survive very large portions of the network simultaneously disappearing, as long as a majority of the remaining nodes is honest; deterministic threshold signature schemes at this point cannot provide this property. It’s not secure in a Zamfir model where more than ⅔ of validators are colluding. The other approaches described in the proof of stake FAQ above still make it expensive to manipulate the randomness, as data from all validators is mixed into the seed and making any manipulation requires either universal collusion or excluding other validators outright. One might argue that the deterministic threshold signature approach works better in consistency-favoring contexts and other approaches work better in availability-favoring contexts. What are the concerns about sharding through random sampling in a Zamfir model? In a Zamfir model, the fact that validators are randomly sampled doesn’t matter: whatever the sample is, either the attacker can bribe the great majority of the sample to do as the attacker pleases, or the attacker controls a majority of the sample directly and can direct the sample to perform arbitrary actions at low cost (O(c) cost, to be precise). At that point, the attacker has the ability to conduct 51% attacks against that sample. The threat is further magnified because there is a risk of cross-shard contagion: if the attacker corrupts the state of a shard, the attacker can then start to send unlimited quantities of funds out to other shards and perform other cross-shard mischief. All in all, security in the Zamfir model is not much better than that of simply creating O(c) altcoins. One mechanism that we can rely on is the existence of outside shards that we can submit evidence to. If there is a 51% attack against a chain and data on that chain is unavailable, then we can come up with challenge-response mechanisms where users (sometimes called “fishermen”13 can issue challenges claiming that certain data is unavailable, and until responses are published users would know not to trust that chain. We can also try to detect situations where one chain is “under attack”, and have a global “manager” mechanism crank up the rewards and penalties on that chain so that continuing the attack becomes more and more expensive. We can create mechanisms where such a global mechanism “checkpoints” agreement on the state of a shard, preventing that shard from regressing to a point before that checkpoint (the Mauve Paper’s sharding mechanism does this through its finality betting scheme). Challenge-response mechanisms generally rely on a principle of escalation: fact X is initially accepted as true if at least k validators sign a claim (backed by a deposit) that it is. However, if this happens, there is some challenge period during which 2k validators can sign a claim stating that it is false. If this happens, 4k validators can sign a claim stating that the claim is in fact true, and so forth until one side either gives up or most validators have signed claims, at which point every validator themselves checks whether or not X is true. If X is ruled true, everyone who made a claim saying so is rewarded and everyone who made a contradictory claim is penalized, and vice versa. The malicious actors thus lose an amount of money proportional to the number of actors that they forced to look up whether or not X is true; this prevents the scheme from being used as a denial-of-service vector. This scheme can be implemented in such a structured way, or it can be implemented in a more free-form way via a prediction market; the Mauve Paper’s finality scheme is intended to do the latter. This approach works very well if we are using it for state validation, and data availability is assumed to be already solved so that malfeasance can always be proven. However, it has a major weakness if we use it to verify data availability itself: while data availability can be proven, if necessary by simply providing the data, data unavailability at time X can never be proven to validators who can only perform checks after time X. If the above scheme is applied directly, malicious actors can publish a block containing some unavailable data, then allow the challenge-response game to escalate, then suddenly publish the data, making everyone who had earlier (correctly) claimed the data was unavailable look like a fool. Challenging thus becomes a potentially altruistic activity, and so attackers may well “wear down” challengers with false alarms to the point where no one bothers challenging anymore, at which point they make their actual attack. What if all validators check data availability for all block headers by randomly sampling only a few pieces of data? Then attacks where only one piece out of a million is missing could still go through, and pass nearly all validator checks with very high probability. Require the data to be erasure-coded and have a ZK-SNARK proving that this was done? Now we’re talking. However, this is a very cryptographically complex approach, particularly since the fast Fourier transforms involved in making efficient erasure-encodings are computationally heavy, and the computation involved in making ZK-SNARKs even more so, so at the end of the day instead of targeting n = O(c^2) we’ll be targeting something like n = O(c^2 / log^3(c)), and especially if we’re also targeting fast block times it’s hard to tell if, after all the overhead, there will be any real performance gains left. Let’s walk back a bit. Do we actually need any of this complexity if we have instant shuffling? Doesn’t instant shuffling basically mean that each shard directly pulls validators from the global validator pool so it operates just like a blockchain, and so sharding doesn’t actually introduce any new complexities? Kind of. First of all, it’s worth noting that proof of work and simple proof of stake, even without sharding, both have very low security in a Zamfir model; a block is only truly “finalized” in the Zamfirian sense after O(n) time (as if only a few blocks have passed, then the economic cost of replacing the chain is simply the cost of starting a double-spend from before the block in question). Casper solves this problem by adding its finality mechanism, so that the economic security margin increases exponentially rather than linearly. Validators are willing to make exponentially large bets because they (i) see that other validators are making bets, and (ii) have personally verified all state transitions, so they can conclude that there is no chance that they are signing on an invalid chain. In a sharded chain, if we want economic finality then we need to come up with a chain of reasoning for why a validator would be willing to make a very strong claim on a chain based solely on a random sample, when the validator itself is convinced that the Zamfir model is true and so the random sample could potentially be corrupted. How can we use griefing factors to analyze this? One approach we could take is to create a protocol and present a strategy under that protocol that reaches finality, show how under normal conditions this strategy is profit-maximizing, and then also show that the strategy has a bounded griefing factor. A griefing factor can be defined roughly as follows: actor A under protocol P with strategy S has a griefing factor x if malicious actors willing to spend $k can make the actor lose $k * x. Note that griefing factors are often situation dependent and may depend on x, as well as other factors like the portion of the validator set that the attacker controls, but it would be nice to show an upper bound on the griefing factor in a given protocol with a given strategy under any situation. In non-sharded Casper, one can create such a proof, at least in the case of a double spend against a chain where the “exponential rush to economic finality” has already started. A sketch is as follows. According to the rules of the protocol, for a new chain to reach the same degree of finality as an existing chain (so that non-colluding nodes switch to it), there must be at least ⅔ of validators on the new chain. There must also be at least ⅔ of validators on the old chain, and so at least ⅓ of validators must be on both chains (they are thus by definition malicious); we’ll call this fraction ⅓ + p. For the new chain to get started, at least ⅔ of validators must be on it, and these ⅔ must all be malicious. Hence, when the old chain is discarded, we can expect it to contain ⅓ + p of malicious validators, and at most ⅓ honest validators (as the attack requires ⅔ malicious validators to pull off). We’ve thus established that there are at least as many malicious validators as honest validators on the old chain. Because of the mechanics of how honest validators make their bets based on the sizes of existing bets, we can bound honest validator losses at 1.5x attacker losses; hence, the griefing factor is 1.5. If we increase the finalization threshold from ⅔ to ¾, then this value can be reduced to 0.67. In the case of sharded data availability verification, it is not so easy to do this. The reason is that it is intended that the majority of validators get their opinions by trusting a small sample, and so the attacker only needs a small budget to get that small sample to lie, and thereby trick other validators into making bets that would cause them great losses. The slow exponential ramping argument does not apply, because the honest validators reason that past a certain point in the curve, the other validators are not looking at the data directly – rather, they are just looking at what other validators did. Note that this argument applies both in the Zamfir model and the “very very adaptive adversary” model (eg. where an adversary can instantly hack computers but is bounded in the number of computers that it can hack). Can we use an honest minority assumption to get around this? Most likely yes. We can have a protocol where validators only start the exponential ramp-up process if “chain quality” (that is, the ratio of blocks in the main chain divided by the total number of blocks being produced) is greater than ⅞. If chain quality is less than ⅞ for an extended period of time, then rewards and penalties on that chain are increased (a balanced-budget condition is met, as the increased rewards come from the increased penalties), until eventually each block on the malicious chain drains the attacker’s entire balance, and the attacker will then lose their entire deposit in O(n) time. Note that this is an adaptation of Sztorcian consensus, which also works by “raising the stakes” only in the case of great contention. There are still many details to be ironed out in terms of the optimal way to implement these kinds of protocols, and proving guarantees about them, but this is one general kind of approach that seems very promising. But doesn’t this still mean that an attacker can consume a small amount of capital to make a single shard work very poorly for a medium amount of time? So we actually didn’t solve the trilemma, we weaseled out of it by pulling back a bit on the security model? Kind of. Note that attackers can reduce the “chain quality” of a shard, but they still can’t finalize any bad state with less than O(n) capital. Not really. There is one trivial attack by which an attacker can always burn O(c) capital to temporarily reduce the quality of a shard: spam it by sending transactions with high transaction fees, forcing legitimate users to outbid you to get in. This attack is unavoidable; you could compensate with flexible gas limits, and you could even try “transparent sharding” schemes that try to automatically re-allocate nodes to shards based on usage, but if some particular application is non-parallelizable, Amdahl’s law guarantees that there is nothing you can do. The attack that is opened up here (reminder: it only works in the Zamfir model, not honest/uncoordinated majority) is arguably not substantially worse than the transaction spam attack. Hence, we’ve reached the known limit for the security of a single shard, and there is no value in trying to go further. You mentioned transparent sharding. I’m 12 years old and what is this? Basically, we do not expose the concept of “shards” directly to developers, and do not permanently assign state objects to specific shards. Instead, the protocol has an ongoing built-in load-balancing process that shifts objects around between shards. If a shard gets too big or consumes too much gas it can be split in half; if two shards get too small and talk to each other very often they can be combined together; if all shards get too small one shard can be deleted and its contents moved to various other shards, etc. Imagine if Donald Trump realized that people travel between New York and London a lot, but there’s an ocean in the way, so he could just take out his scissors, cut out the ocean, glue the US east coast and Western Europe together and put the Atlantic beside the South Pole – it’s kind of like that. What are some advantages and disadvantages of this? The co-placement problem can be mitigated by introducing a notion of “sequential domains”, where contracts may specify that they exist in the same sequential domain, in which case synchronous communication between them will always be possible. In this model a shard can be viewed as a set of sequential domains that are validated together, and where sequential domains can be rebalanced between shards if the protocol determines that it is efficient to do so. How would synchronous cross-shard messages work? In order for the transaction to be effective, it must be included at the same block height in all of these shards. A client on shard X, if it sees a transaction with shards (X, Y), requests a Merkle proof from shard Y verifying (i) the presence of that transaction on shard Y, and (ii) what the pre-state on shard Y is for those bits of data that the transaction will need to access. If then executes the transaction and commits to the execution result. Note that this process may be highly inefficient if there are many transactions with many different “block pairings” in each block; for this reason, it may be optimal to simply require blocks to specify sister shards, and then calculation can be done more efficiently at a per-block level. This is the basis for how such a scheme could work; one could imagine more complex designs. However, when making a new design, it’s always important to make sure that low-cost denial of service attacks cannot arbitrarily slow state calculation down. Vlad Zamfir created a scheme by which asynchronous messages could still solve the “book a train and hotel” problem. This works as follows. The state keeps track of all operations that have been recently made, as well as the graph of which operations were triggered by any given operation (including cross-shard operations). If an operation is reverted, then a receipt is created which can then be used to revert any effect of that operation on other shards; those reverts may then trigger their own reverts and so forth. The argument is that if one biases the system so that revert messages can propagate twice as fast as other kinds of messages, then a complex cross-shard transaction that finishes executing in K rounds can be fully reverted in another K rounds. The overhead that this scheme would introduce has arguably not been sufficiently studied; there may be worst-case scenarios that trigger quadratic execution vulnerabilities. It is clear that if transactions have effects that are more isolated from each other, the overhead of this mechanism is lower; perhaps isolated executions can be incentivized via favorable gas cost rules. All in all, this is one of the more promising research directions for advanced sharding. What are guaranteed cross-shard calls? There may be no single party that is clearly incentivized to trigger a given receipt. If the sending of a transaction benefits many parties, then there could be tragedy-of-the-commons effects where the parties try to wait longer until someone else sends the transaction (ie. play “chicken”), or simply decide that sending the transaction is not worth the transaction fees for them individually. Gas prices across shards may be volatile, and in some cases performing the first half of an operation compels the user to “follow through” on it, but the user may have to end up following through at a much higher gas price. This may be exacerbated by DoS attacks and related forms of griefing. Some applications rely on there being an upper bound on the “latency” of cross-shard messages (eg. the train-and-hotel example). Lacking hard guarantees, such applications would have to have inefficiently large safety margins. One could try to come up with a system where asynchronous messages made in some shard automatically trigger effects in their destination shard after some number of blocks. However, this requires every client on each shard to actively inspect all other shards in the process of calculating the state transition function, which is arguably a source of inefficiency. The best known compromise approach is this: when a receipt from shard A at height height_a is included in shard B at height height_b, if the difference in block heights exceeds MAX_HEIGHT, then all validators in shard B that created blocks from height_a + MAX_HEIGHT + 1 to height_b - 1 are penalized, and this penalty increases exponentially. A portion of these penalties is given to the validator that finally includes the block as a reward. This keeps the state transition function simple, while still strongly incentivizing the correct behavior. Wait, but what if an attacker sends a cross-shard call from every shard into shard X at the same time? Wouldn’t it be mathematically impossible to include all of these calls in time? Correct; this is a problem. Here is a proposed solution. In order to make a cross-shard call from shard A to shard B, the caller must pre-purchase “congealed shard B gas” (this is done via a transaction in shard B, and recorded in shard B). Congealed shard B gas has a fast demurrage rate: once ordered, it loses 1/k of its remaining potency every block. A transaction on shard A can then send the congealed shard B gas along with the receipt that it creates, and it can be used on shard B for free. Shard B blocks allocate extra gas space specifically for these kinds of transactions. Note that because of the demurrage rules, there can be at most GAS_LIMIT * k worth of congealed gas for a given shard available at any time, which can certainly be filled within k blocks (in fact, even faster due to demurrage, but we may need this slack space due to malicious validators). In case too many validators maliciously fail to include receipts, we can make the penalties fairer by exempting validators who fill up the “receipt space” of their blocks with as many receipts as possible, starting with the oldest ones. Under this pre-purchase mechanism, a user that wants to perform a cross-shard operation would first pre-purchase gas for all shards that the operation would go into, over-purchasing to take into account the demurrage. If the operation would create a receipt that triggers an operation that consumes 100000 gas in shard B, the user would pre-buy 100000 * e (ie. 271818) shard-B congealed gas. If that operation would in turn spend 100000 gas in shard C (ie. two levels of indirection), the user would need to pre-buy 100000 * e^2 (ie. 738906) shard-C congealed gas. Notice how once the purchases are confirmed, and the user starts the main operation, the user can be confident that they will be insulated from changes in the gas price market, unless validators voluntarily lose large quantities of money from receipt non-inclusion penalties. Indeed; you could buy congealed shard A gas inside of shard A, and send a guaranteed cross-shard call from shard A to itself. Though note that this scheme would only support scheduling at very short time intervals, and the scheduling would not be exact to the block; it would only be guaranteed to happen within some period of time. Does guaranteed scheduling, both intra-shard and cross-shard, help against majority collusions trying to censor transactions? Yes. If a user fails to get a transaction in because colluding validators are filtering the transaction and not accepting any blocks that include it, then the user could send a series of messages which trigger a chain of guaranteed scheduled messages, the last of which reconstructs the transaction inside of the EVM and executes it. Preventing such circumvention techniques is practically impossible without shutting down the guaranteed scheduling feature outright and greatly restricting the entire protocol, and so malicious validators would not be able to do it easily. Could sharded blockchains do a better job of dealing with network partitions? The schemes described in this document would offer no improvement over non-sharded blockchains; realistically, every shard would end up with some nodes on both sides of the partition. There have been calls (eg. from IPFS’s Juan Benet) for building scalable networks with the specific goal that networks can split up into shards as needed and thus continue operating as much as possible under network partition conditions, but there are nontrivial cryptoeconomic challenges in making this work well. One major challenge is that if we want to have location-based sharding so that geographic network partitions minimally hinder intra-shard cohesion (with the side effect of having very low intra-shard latencies and hence very fast intra-shard block times), then we need to have a way for validators to choose which shards they are participating in. This is dangerous, because it allows for much larger classes of attacks in the honest/uncoordinated majority model, and hence cheaper attacks with higher griefing factors in the Zamfir model. Sharding for geographic partition safety and sharding via random sampling for efficiency are two fundamentally different things. Second, more thinking would need to go into how applications are organized. A likely model in a sharded blockchain as described above is for each “app” to be on some shard (at least for small-scale apps); however, if we want the apps themselves to be partition-resistant, then it means that all apps would need to be cross-shard to some extent. One possible route to solving this is to create a platform that offers both kinds of shards – some shards would be higher-security “global” shards that are randomly sampled, and other shards would be lower-security “local” shards that could have properties such as ultra-fast block times and cheaper transaction fees. Very low-security shards could even be used for data-publishing and messaging. What are the unique challenges of pushing scaling past n = O(c^2)? There are several considerations. First, the algorithm would need to be converted from a two-layer algorithm to a stackable n-layer algorithm; this is possible, but is complex. Second, n / c (ie. the ratio between the total computation load of the network and the capacity of one node) is a value that happens to be close to two constants: first, if measured in blocks, a timespan of several hours, which is an acceptable “maximum security confirmation time”, and second, the ratio between rewards and deposits (an early computation suggests a 32 ETH deposit size and a 0.05 ETH block reward for Casper). The latter has the consequence that if rewards and penalties on a shard are escalated to be on the scale of validator deposits, the cost of continuing an attack on a shard will be O(n) in size. Going above c^2 would likely entail further weakening the kinds of security guarantees that a system can provide, and allowing attackers to attack individual shards in certain ways for extended periods of time at medium cost, although it should still be possible to prevent invalid state from being finalized and to prevent finalized state from being reverted unless attackers are willing to pay an O(n) cost. However, the rewards are large – a super-quadratically sharded blockchain could be used as a general-purpose tool for nearly all decentralized applications, and could sustain transaction fees that makes its use virtually free. Later proposals from the NUS group do manage to shard state; they do this via the receipt and state-compacting techniques that I describe in later sections in this document. There are reasons to be conservative here. Particularly, note that if an attacker comes up with worst-case transactions whose ratio between processing time and block space expenditure (bytes, gas, etc) is much higher than usual, then the system will experience very low performance, and so a safety factor is necessary to account for this possibility. In traditional blockchains, the fact that block processing only takes ~1-5% of block time has the primary role of protecting against centralization risk but serves double duty of protecting against denial of service risk. In the specific case of Bitcoin, its current worst-case known quadratic execution vulnerability arguably limits any scaling at present to ~5-10x, and in the case of Ethereum, while all known vulnerabilities are being or have been removed after the denial-of-service attacks, there is still a risk of further discrepancies particularly on a smaller scale. In Bitcoin NG, the need for the former is removed, but the need for the latter is still there. A further reason to be cautious is that increased state size corresponds to reduced throughput, as nodes will find it harder and harder to keep state data in RAM and so need more and more disk accesses, and databases, which often have an O(log(n)) access time, will take longer and longer to access. This was an important lesson from the last Ethereum denial-of-service attack, which bloated the state by ~10 GB by creating empty accounts and thereby indirectly slowed processing down by forcing further state accesses to hit disk instead of RAM. If a non-scalable blockchain upgrades into a scalable blockchain, the author’s recommended path is that the old chain’s state should simply become a single shard in the new chain. For this to be secure, some further conditions must be satisfied; particularly, the proof of work must be non-outsourceable in order to prevent the attacker from determining which other miners’ identities are available for some given shard and mining on top of those. Recent Ethereum denial-of-service attacks have proven that hard drive access is a primary bottleneck to blockchain scalability. You could ask: well why don’t validators fetch Merkle proofs just-in-time? Answer: because doing so is a ~100-1000ms roundtrip, and executing an entire complex transaction within that time could be prohibitive. One hybrid solution that combines the normal-case efficiency of small samples with the greater robustness of larger samples is a multi-layered sampling scheme: have a consensus between 50 nodes that requires 80% agreement to move forward, and then only if that consensus fails to be reached then fall back to a 250-node sample. N = 50 with an 80% threshold has only a 8.92 * 10-9 failure rate even against attackers with p = 0.4, so this does not harm security at all under an honest or uncoordinated majority model. The probabilities given are for one single shard; however, the random seed affects O(c) shards and the attacker could potentially take over any one of them. If we want to look at O(c) shards simultaneously, then there are two cases. First, if the grinding process is computationally bounded, then this fact does not change the calculus at all, as even though there are now O(c) chances of success per round, checking success takes O(c) times as much work. Second, if the grinding process is economically bounded, then this indeed calls for somewhat higher safety factors (increasing N by 10-20 should be sufficient) although it’s important to note that the goal of an attacker in a profit-motivated manipulation attack is to increase their participation across all shards in any case, and so that is the case that we are already investigating.